The liftoff from Cape Canaveral’s Complex 40 launch pad is now scheduled for Monday at 12:29 a.m. EDT (0429 GMT), the opening of a four-hour launch window. 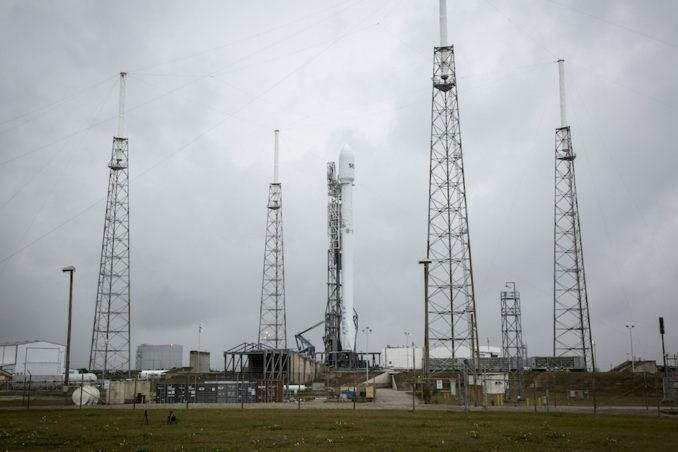 SpaceX announced the three-day delay in a tweet Thursday. The launch will mark SpaceX’s 11th mission of the year, and the 56th launch of a Falcon 9 rocket since the workhorse commercial booster debuted in June 2010. SpaceX test-fired the reused first stage of the Falcon 9 rocket for the SES 12 mission May 24 at Cape Canaveral, and teams have encapsulated the commercial telecom payload and attached it to the launcher since the static fire test last week. The Falcon 9 first stage slated to launch with SES 12 was previously used to send the U.S. Air Force’s X-37B spaceplane toward orbit from the Kennedy Space Center in September 2017. 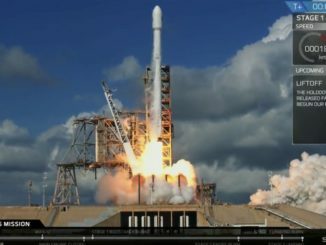 The upcoming mission will mark the 13th time SpaceX has re-launched a previously-flown booster. SpaceX does not plan to recover the first stage on next week’s mission because the booster was built using an earlier design of the Falcon 9 rocket, known as the “Block 4.” The second stage flying on the SES 12 mission is based on the upgraded “Block 5” version of the Falcon 9. Built by Airbus Defense and Space, the SES 12 communications satellite will connect the Middle East, the Asia-Pacific, and Australia with Ku-band beams, providing video and data relay, television broadcast, and government services. 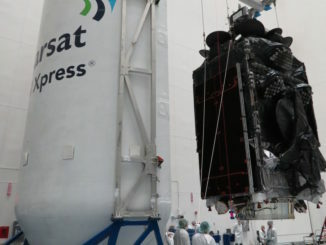 In addition to the six Ku-band payload, SES 12 carries 72 high-throughput beams tailored for broadband connectivity, plus an on-board digital processor to adjust bandwidth to meet changing customer demand. 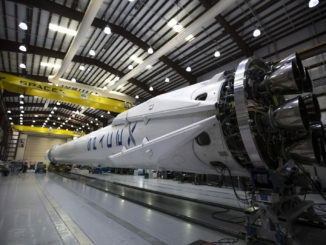 The Falcon 9 rocket will place the 11,867-pound (5,383-kilogram) spacecraft in an elliptical “supersynchronous” transfer orbit ranging between 182 miles (294 kilometers) at the lowest point to more than 36,000 miles (about 58,500 kilometers) at its highest point. Plasma thrusters aboard the SES 12 satellite will reshape its orbit to a circular perch over the equator, and maneuver the relay station to a geostationary slot at 95 degrees east longitude, where it will join the SES 8 spacecraft and replace the aging NSS 6 satellite. Forecasters from the U.S. Air Force’s 45th Weather Squadron predict a 70 percent probability of favorable weather during Monday’s early morning launch window.